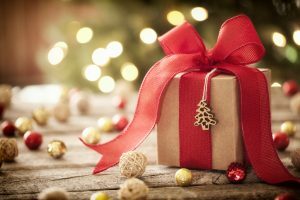 Getting the perfect gift for family and friends is a difficult task, but it doesn’t have to be. We’ve come up with fashionable and elegant gift ideas that anyone will appreciate receiving. This selection is for the woman who just got engaged to the man of her dreams or has just walked down the aisle. Getting an engagement or wedding gift like a religious cross or pendant is a beautiful gesture that blesses their union. She’s your sister or best friend and she deserves the world. Purchasing a matching pair of elegant Gold & Silver Chains is a great idea for displaying how close you are to each other. These will last longer than any low quality costume jewelry you’ll find at the mall. She’s been hardworking and dedicated student! She’s graduated and you want to show her how proud you are of her. Gift the new graduate with inspirational Christian Jewelry she can wear it while creating and then accomplishing her new goals. There’s a new bundle of joy in the family or she’s expecting! Flowers are a budget friendly idea but gifting a new mother with a delicate chain of silver or gold is a memorable gift that will last longer. She’s the matriarch of the family and she deserves a gift that shows your respect for her. Give a mom, grandmother, or auntie radiant religious jewelry to show your appreciation for her love and dedication to her family.